Anaerobic power is a key characteristic of athletes who are successful in sports such as sprinting, football, cycling, tennis, volleyball, powerlifting and Cross Fit among others. 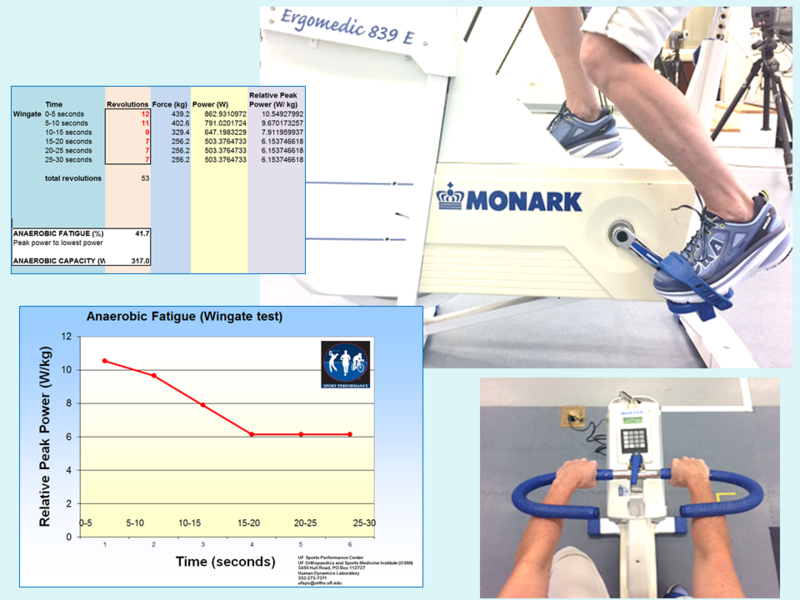 The Wingate Cycle test is an excellent way to determine your peak power production, average power and your rate of power decline. The test involves a 30 second all out effort on a cycle ergometer. Your cycle performance value will be processed and placed into a report for you, and your results are compared to healthy elite athletes. Using these data, changes can be made to the training program to help you improve the power output. Blood lactate can be measured for additional information and tracking if interested. Team testing is available. Measure peak power before the season and during to determine if your training program is helping the athletes.